I am a big fan of Minecraft. I remember buying it in 2011 from Mojang for 15 euros. It’s one of the few games I bought. It’s also one of those games I visit once in a while. 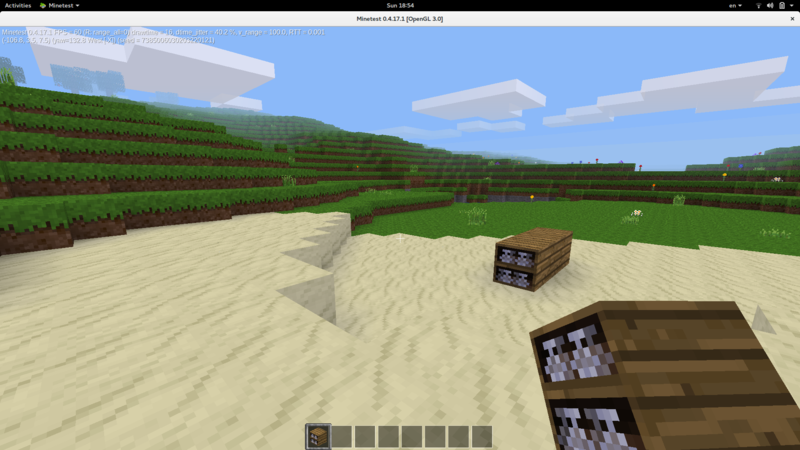 My recent experiments with it has been using Minecraft pi and Minecraft API mostly around the concept of teaching programming using games. It’s free (as in beer)1 and comes with API to play. On a non-Pi installations you need setup plugins to get access. Also since the license is unclear, I am not sure if I can use it liberally like I would use a Free and Open Source Software. Hence the exploration began and I found Minetest. 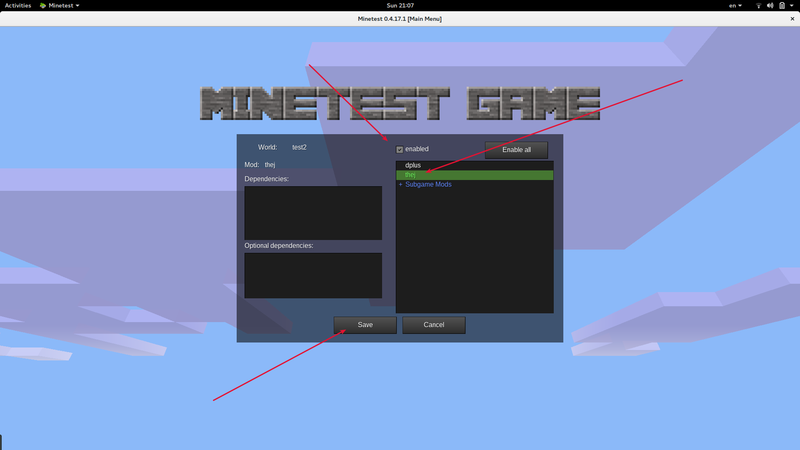 Minetest is an open source voxel game engine. Play one of our many games, mod a game to your liking, make your own game, or play on a multiplayer server. Available for Windows, macOS, GNU/Linux, FreeBSD, OpenBSD, and Android. 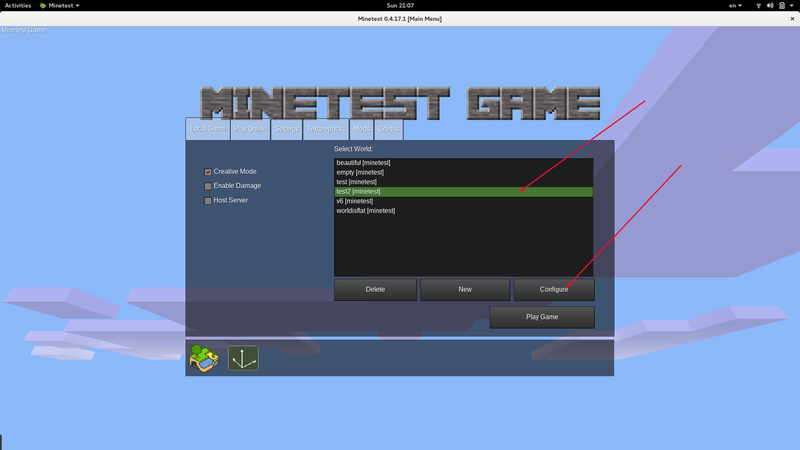 Minetest – An open source voxel game engine. Its FOSS, meant for moding and runs on all platforms. Everything I wanted. So quickly I started playing Minetest. It’s not bad. You will face an issue here and there 2 but on my Ubuntu it felt great. 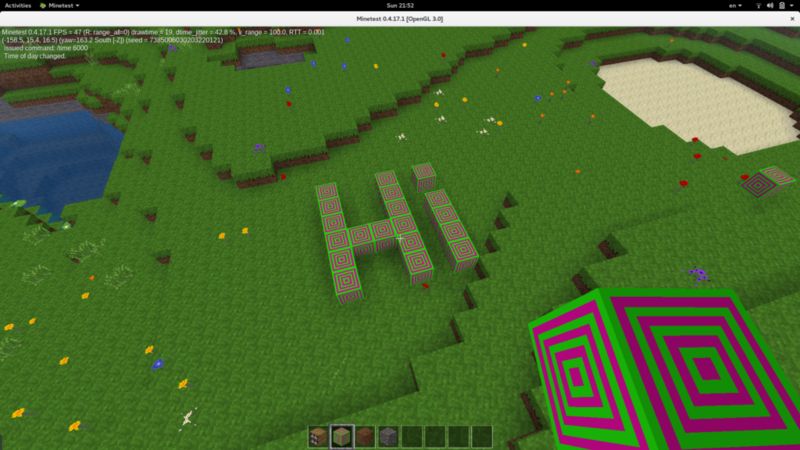 Next thing was to test how easy it is to mod 3 and introduce a new feature. I started by coding a new type of block. Here are the notes from that exercise. On Ubuntu installation is straight forward. It’s not difficult for other platforms too. 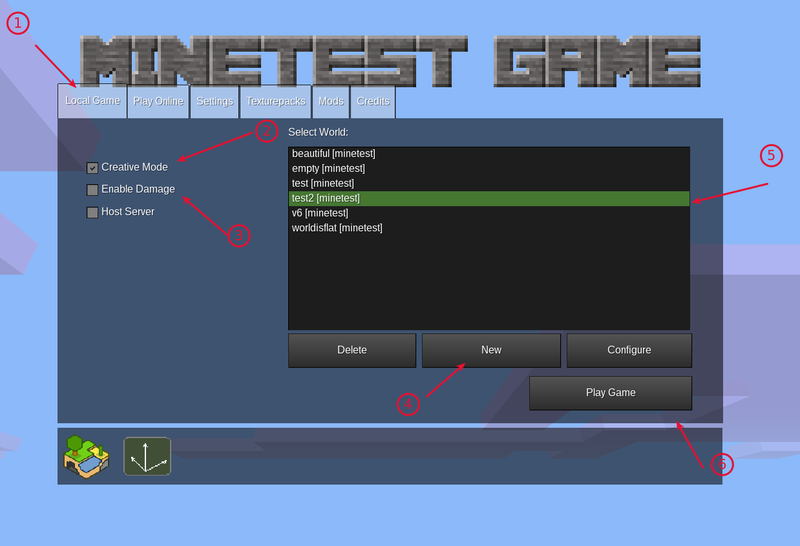 Minetest can host a server where you and your friends can share games and save work. But here we are going to play a local game in creative mode with no damages. You can create a world if there are no worlds. 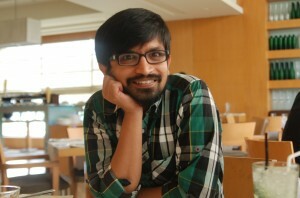 By clicking on New. Create a world and start a local game. Once you start. You can play like usual. At any point you can exit by pressing ESC key. You can restart by selecting the same world. As you see mod_1 has couple of folders and files. init.lua – This is the only REQUIRED file. This will run as soon as the game loads. Before you start writing your first mod, please do know all the mods are written in Lua Scripting language. It’s easy to learn and code. You can try this 15 mins tutorial if you are short on time. 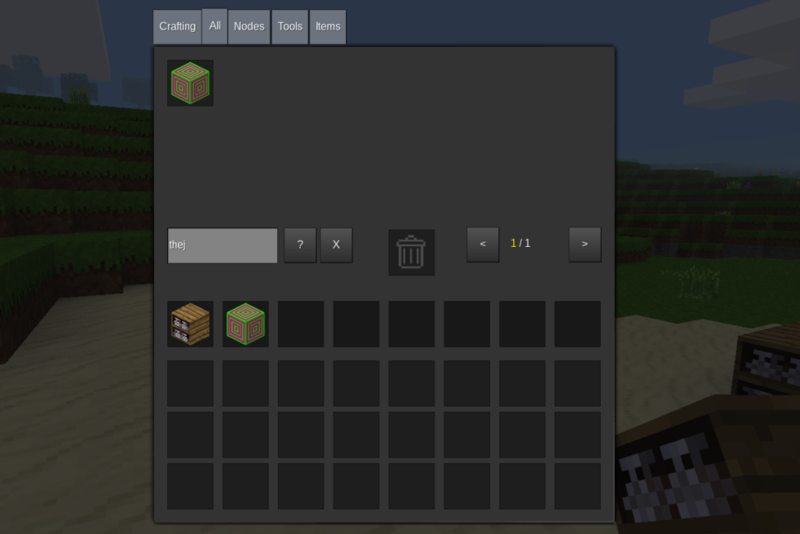 With that let’s start our first mod which is just an introduction of a new block type into the game. Next we need define our block. For this we will create init.lua and define our block there. Here as you can see we are defining an item 4 for the mod thej and name of it is squares. Then we are defining images for the tiles. That’s it, the block is ready to be used. 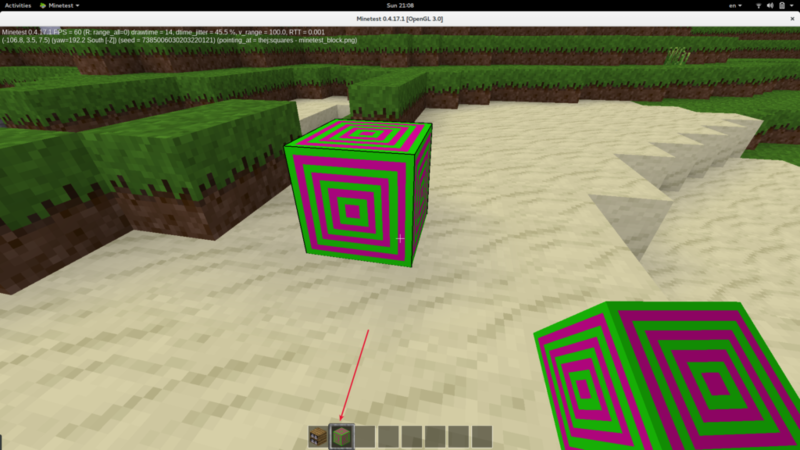 -- order of tiles while defining node in case you want the block to look different each side. At this point our mod is ready to be used. Of course you can do a lot more. But this is an intro how-to. Since your mod is already under ~/.minetest/mods you don’t have to do anything else to be loaded. So start the minteset and then enable the mode for specific world you are going to play. Select the world and click configure.